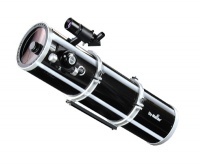 Sky-Watcher PRO-Series astronomical telescopes and Go-To Mountings have been specially developed to meet the needs of the most discerning and critical advanced astronomers. Sky-Watcher PRO-Series products are manufactured to extremely high levels of optical and mechanical precision, using the finest materials and undergoing very strict quality control procedures and testing by specially assigned technicians, to ensure the highest standards of quality and performance are consistently maintained. 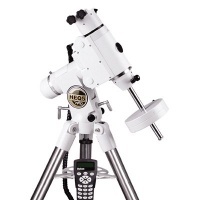 The Skymax PRO Maksutov-Cassegrain telescope models excel for detailed, high-power observations of the Moon, planets and double stars. They employ super-high contrast optical systems, utilising high-transmission multi-coatings on all optical surfaces, for optimum optical performance. The quality of each telescope is monitored by means of a Ronchi Test and Artificial Star Test. No effort is spared to reach optimal optical quality. 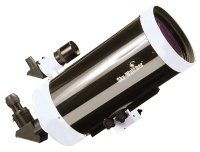 The state-of-the-art Skywatcher PRO-Series Evostar & Equinox ED Apochromatic Refractors provide ultimate colour-corrected performance for visual planetary and deep-sky observations and CCD imaging. 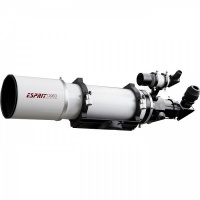 The Equinox ED Refractors can also be used as high-performance spotting scopes and telephoto photographic lenses for birdwatching and daytime nature studies. All refractors, used with a star diagonal or erecting prism provide upright images, making them suitable for terrestrial use. 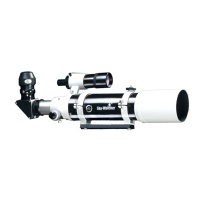 Sky-Watcher PRO-Series telescopes can be purchased as Optical Tube Assemblies only (OTA’s) or complete with our highly acclaimed PRO-Series Go-To Fully Computerised Telescope Mountings which can automatically locate night-sky objects from their database. Please take a look at our Astronomical Gallery to see some of the wonderful images taken with Sky-Watcher PRO-Series telescopes. In our Customer Support section, you will be able to download useful Magazine Reviews, Guides & Instruction Manuals.